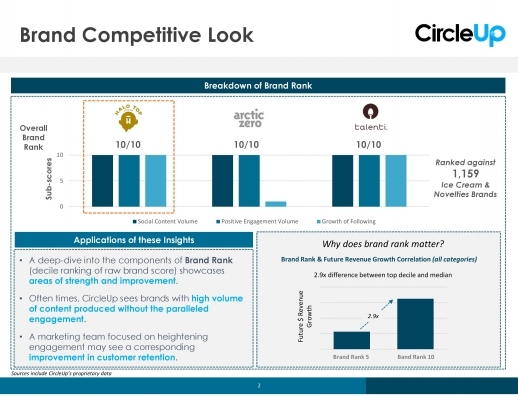 Working with companies across the CircleUp community, we are continuing to develop our Insights offering and are excited to invite you to participate in the beta launch of Insights. We look forward to working with you. To begin, please rank the below analyses from 1- 4. 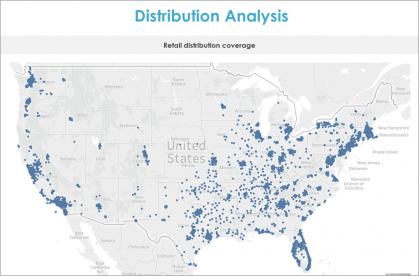 We will do our best to deliver you the analysis you ranked #1 but our work is subject to data coverage and so we may have to move to your next choice(s) if there is not sufficient coverage on your brand. 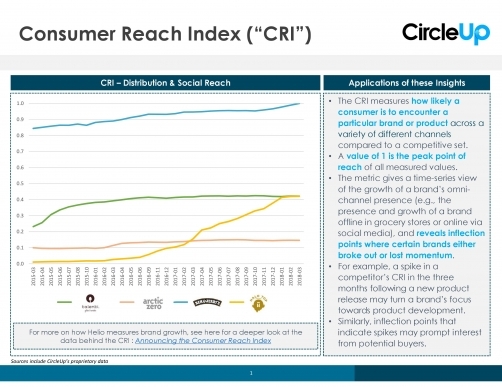 Knowing where your brand is distributed and how your consumer reach has changed over time and across channels is important for helping to refine growth or think through new retailers. 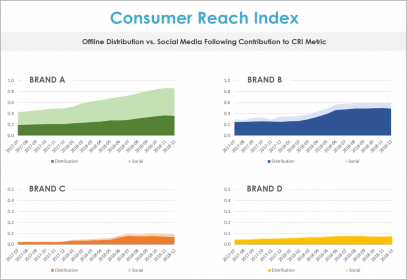 This analysis allows you to see how your brand's growth stacks up against selected competitors and how your reach in online and offline channels has changed over time. 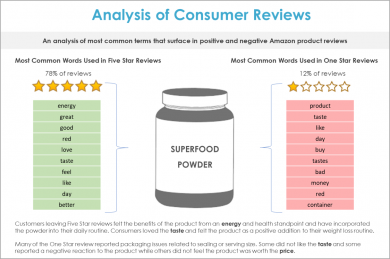 There are meaningful signals that come from consumer reviews. They give you a sense of how customers are responding to your product and how that may be different than the way they respond to competitors. 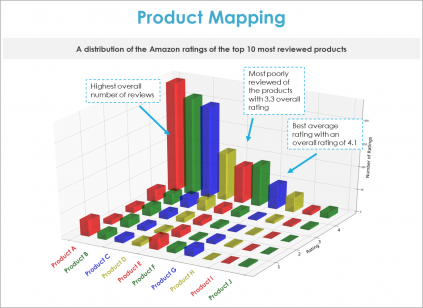 This analysis lets you see those sentiments at scale and extract the most important signals from reviews. 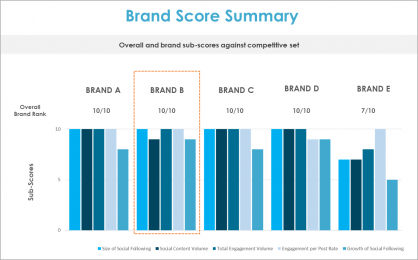 You know that having a strong brand presence is important, but how do you quantify that brand versus competitors to figure out whether or not you’re on the right track? 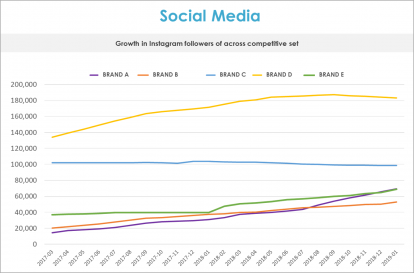 This analysis helps you see growth in followers, engagement, and other social metrics against a competitive set or a against a broader category. When scaling your company, it's important to understand what your current customer base looks like. 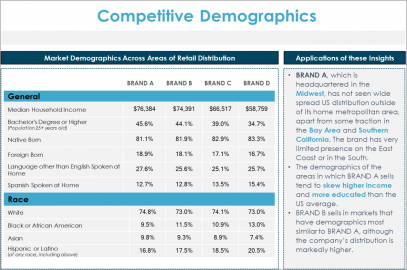 This analysis reflects the demographics of consumers who live in areas where your product is sold. 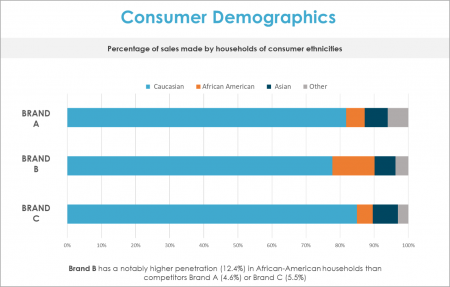 Looking at key metrics like household income and racial breakdown, this can help you better understand the profile of your consumer as well as identify new potential markets. Please let us know which reports seem the most valuable for you, competitors you are most interested in, and how to get in touch with you! Have ideas for other insights that would be valuable? If you have ideas for analyses that aren't captured above, feel free to shoot us a note at Insights@circleup.com and we'll do our best to accommodate. Copyright © 2019 CircleUp, All rights reserved.